Good evening everyone! Happy Saturday. Just like many of you, I have been itching to try Drew Barrymore’s Flower makeup line for Walmart. After checking two Walmarts, I finally got my hands on three items from her line. Let me tell you though, I had to really search because the display was so miniscule, I could barely tell it was the Flower line. 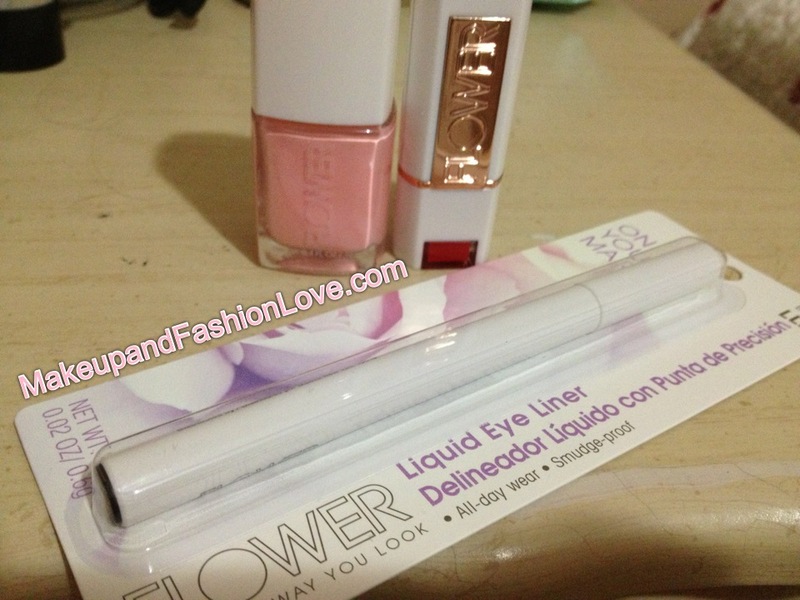 This adorable pink/peach shade is very pigmented and perfect for the spring. Now this what the item I was most excited about. The color is absolutely incredible! It’s a redish orange with blue undertones, which makes my teeth look really white! 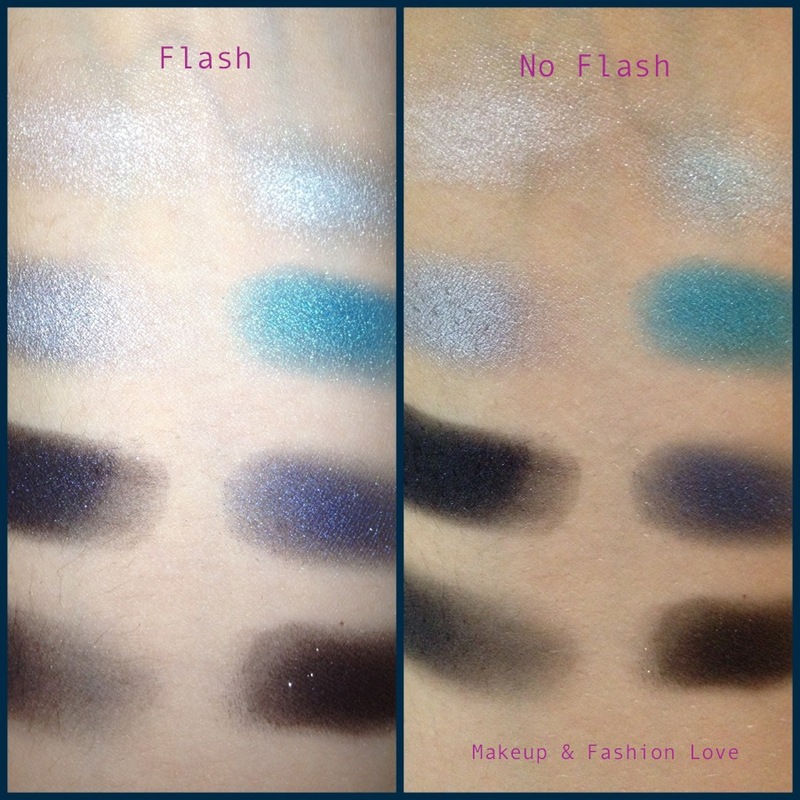 When I first tried on the color, I was amazed, then I tried for a full day…. Reapplied it 5 times! 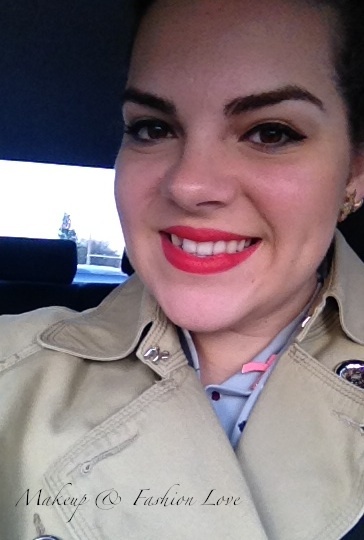 The lipstick seriously resembles MAC with its texture but lacks in the longevity department. Now, I’m not saying I hate it but I definitely wish it lasted longer. However, I love the color so much that I’d reapply it as many times as needed. I will probably try a few more colors from this line. This is probably the most disappointing product. The liner just isn’t very pigmented. However, the packaging and felt tip applicator is actually really nice! Maybe I got a bad one or should try the black shade. All in all, I really like the sleek packaging but I definitely think the formula of the specific items I tried need a little tweaking. Now, I haven’t tried other products from the line but I’m definitely looking forward to picking up the mascara and BB cream. This simply looks amazing! I saw xsparkage’s video about this product and fell in love. These sounds like they are a great combo! Not to mention that I am already a pretty big fan of Revlon’s foundations. 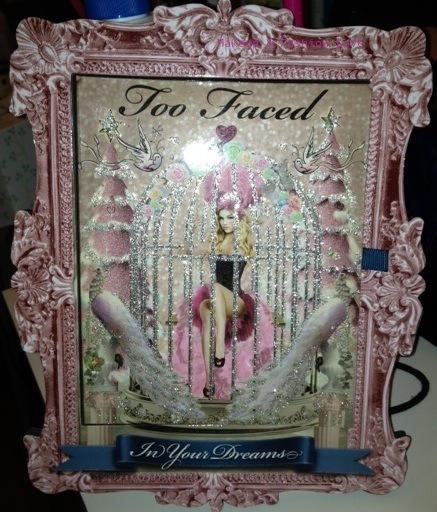 Let’s be honest here, this is the most hilariously packaged palette ever! They also look like they have a great variation of colors for any kind of look. Please let me know below if you think I should give any of the items above a shot or if there are any other items you think I should try! By this time of the month everyone is probably scrambling through their closet trying to figure out who they will be this Halloween. On this post I will show you how I will be dressing up and how to get the look. You may recognize the outfit by the polka dots or maybe the ears! She goes by the name of Minnie Mouse! 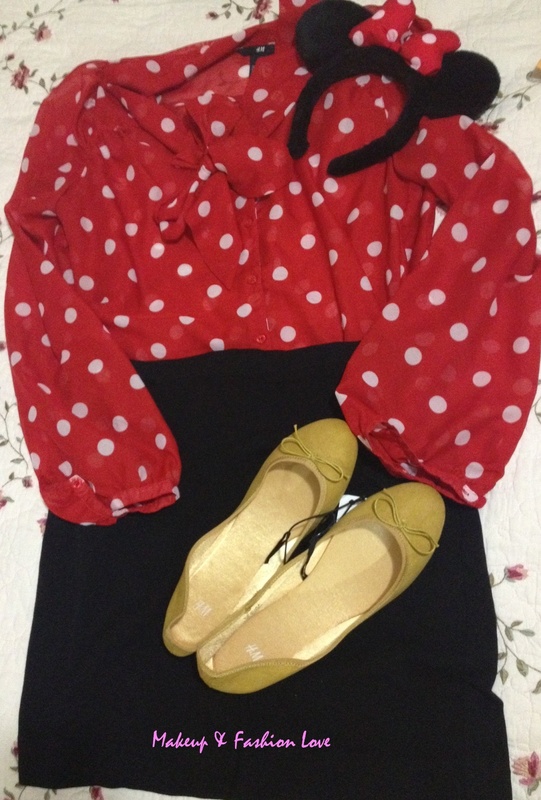 This look came to mind after wearing the blouse a few times to work and being referred to as Minnie Mouse. Come to realize that I actually own the ears from a trip to Disney! Great part about my costume is the versatility of it. You can wear this to a work event or a spooky night out with your friends. Makeup: Still not sure but here’s one idea thanks to Emma’s Rectangle! Overall, I’m really excited to wear this cute outfit on Halloween! Especially since I found all of these items in my closet so it makes the process much easier. Therefore, I encourage you all to dig through your closet and see what you find. You never know if you next costume is hiding beneath everything! Let me know in the comments below what you plan to be this Halloween! Like reading my blog? Don’t forget to follow it to receive notifications every time I post something new! 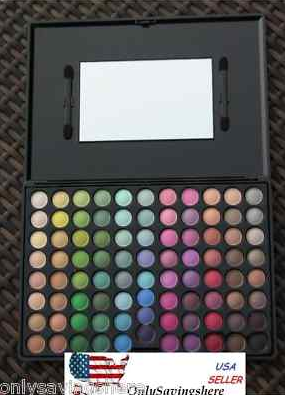 88 Color Palette from Ebay! 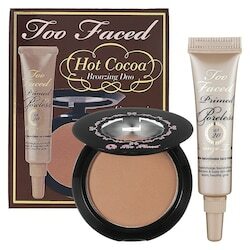 Most of us are always looking to experiment with new shades of makeup to find what suits us. Well, if you are trying to find that perfect shade but don’t want to spend a small fortune then check out Ebay! I own an 88 matte color palette that I received a while back and still use when I’m in a mood to try something new. Their price is $14.99 with FREE shipping! If you go on ebay and look for this palette, you may find that there are other ones for less but I give you this seller because I own the palette and want to make sure you guys get what I received. 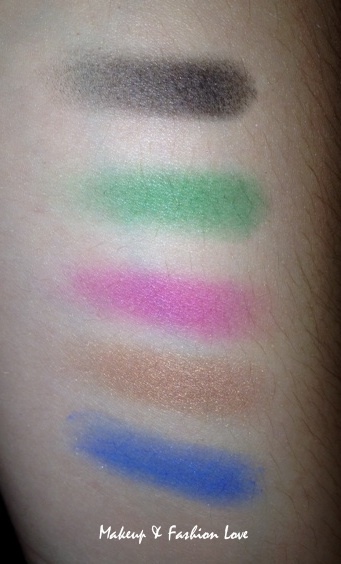 Here are some random swatches out of the many colors! The colors will seem a bit chalky but just make sure you do your eyeshadow before foundation in order to get rid of the excess. Mix these wonderful matte shades with a shimmery color for a fun look. I know this seller only ships to the US but there are many other seller on Ebay that ship internationally. As always, award season red carpets showcase some of the most beautiful gowns I’ve ever seen and the Tony Awards were no exception! My top pick has got to be Sheryl Crow! She worked this gown so well! Not to mention how beautiful her hair, makeup and accessories accentuate the entire look! Ashley Spencer was another beautiful look! This color looks great on her and I absolutely love the red lipstick! Similar to Sheryl Crow, her hair, makeup and accessories tied the whole look together very well. All pictures are courtesy of Broadwayworld.com. Blue Had Me At Hello! 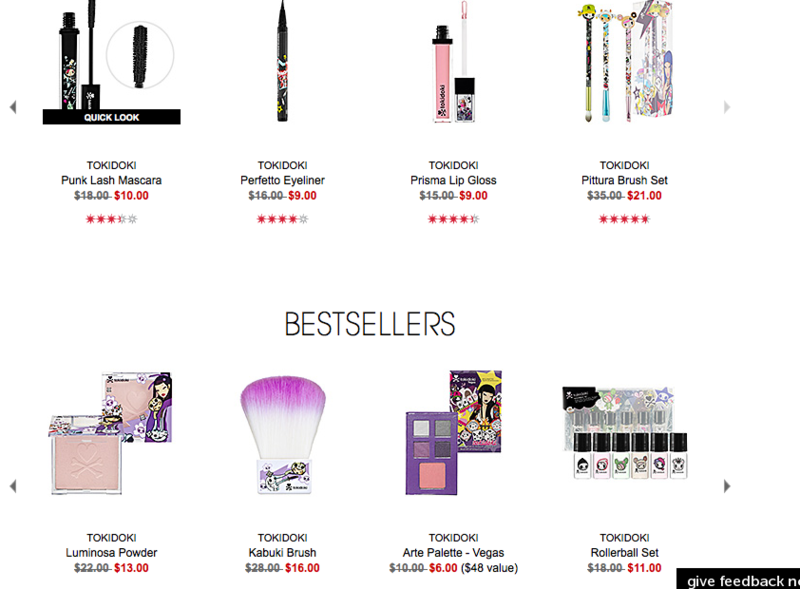 Who doesn’t love a good eyeshadow palette for under $5?! I know that I do, and I have one that has absolutely beautiful colors. They may not be the most practical but they are great for a night out or for a dramatic look. 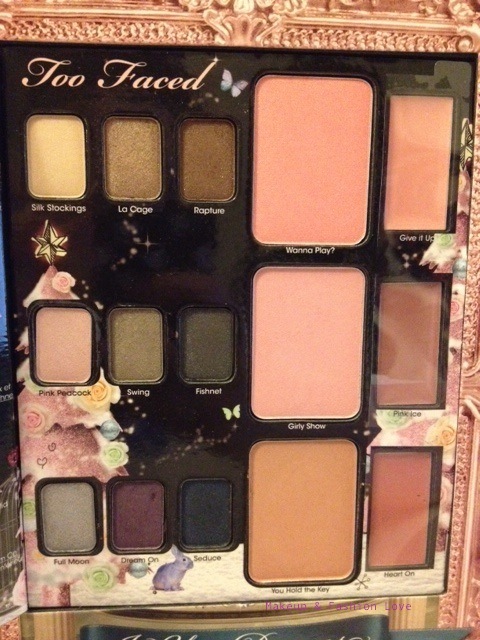 Wet & Wild keeps on impressing me with amazing palettes that are not only a great deal but also very nicely pigmented! One of my favorites is the Blue Had Me At Hello 8 color palette. There are 4 frosty colors, 3 with sparkle and one matte. It’s in the blue family with one white shade on the top left and one matte black on the bottom left. 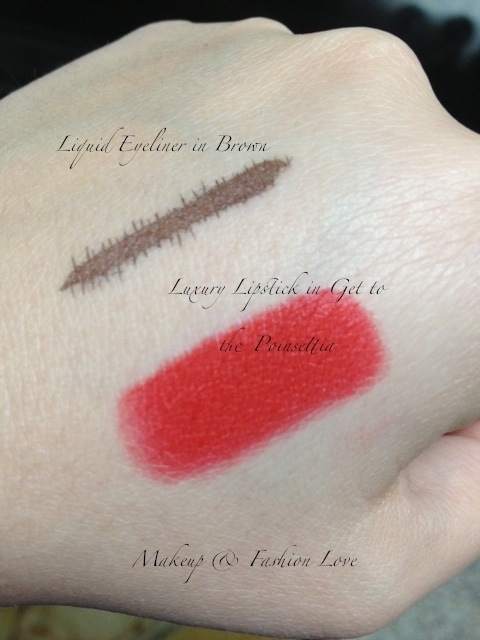 As you can tell from the swatch below, the colors are all extremely pigmented! I used this for a Britney Spears “I’m a Slave for You” inspired makeup look for her Femme Fatale Concert last year. The colors looked amazing! For this look, all I used was the Wet & Wild Palette! My two beautiful friends, Anaili & Jessica showing off their makeup on our way to the Britney Concert! I know that sometimes there is a misconception with cheaper makeup but Wet & Wild is truly an exemption and the pictures above say it all! 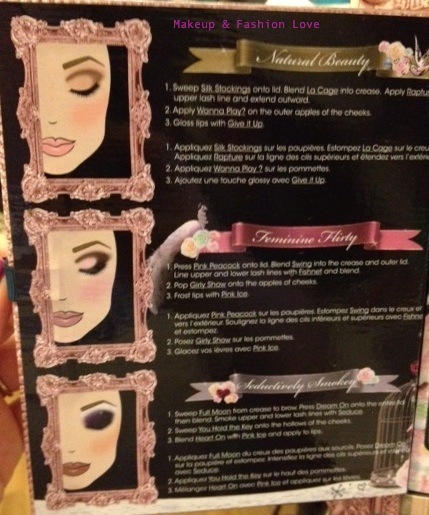 Have any of you used this palette before? Any other favorite Wet & Wild palettes that you think I should try?